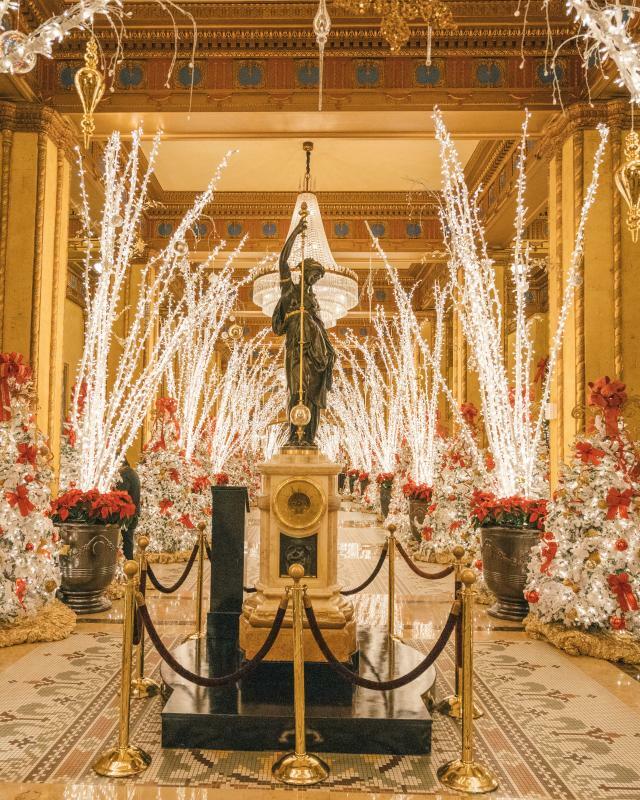 One of the questions you’ll be asked if you come to New Orleans during the holidays is, “Did you check out the lobby at the Roosevelt?” For eighty years, locals and visitors alike have been making this grand old hotel a top stop on their holiday tour. 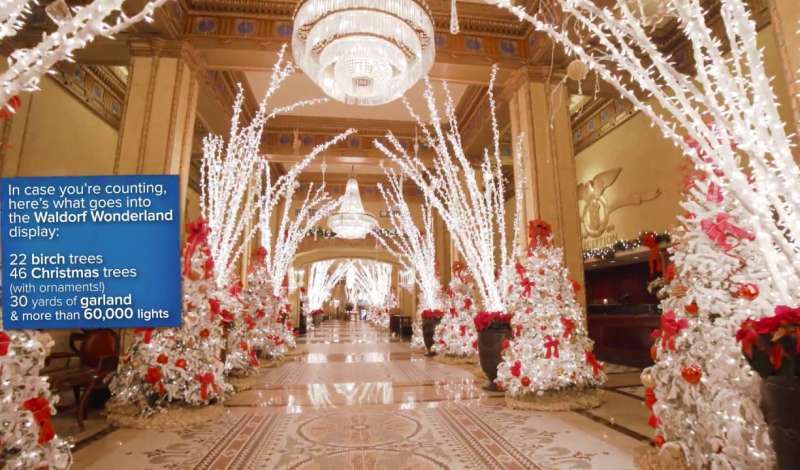 The Roosevelt’s lobby is a dazzler during the holidays. Take a stroll through a winter wonderland of birch branches and Christmas trees, twinkling with more than 60,000 lights. There’s even a gingerbread village illustrating the beloved Louisiana holiday classic “Cajun Night Before Christmas,” with alligators replacing Santa’s reindeer (sorry, no red noses). You can’t miss the 19.5 foot Christmas Tree in the Windsor Court, adorned with 25,000 lights, ornaments and a toy train that chutes around. 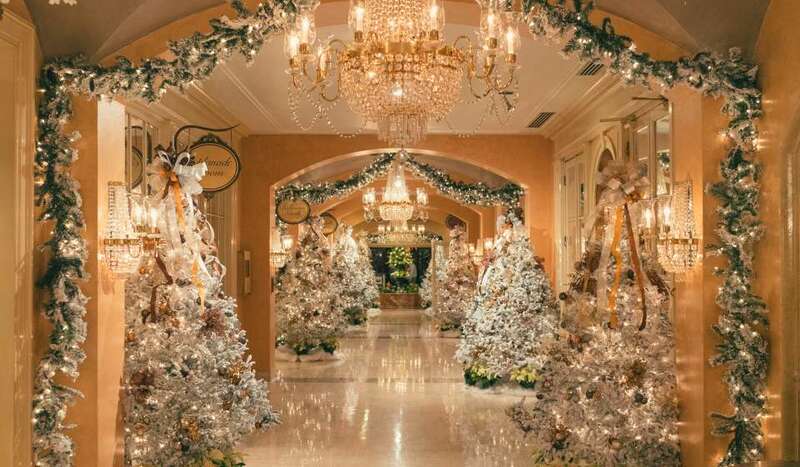 1,500 ft of gold garland, magnolia wreaths, and ten additional trees are also spread throughout the hotel. The hotel also hosts beautifully festive holiday tea, so be sure to make a reservation for an extra special afternoon. 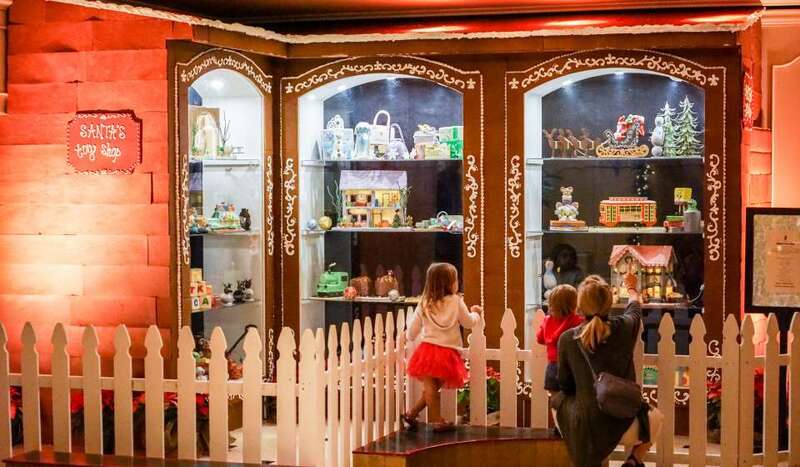 Santa’s Toy Shop takes center stage at the Ritz-Carlton. 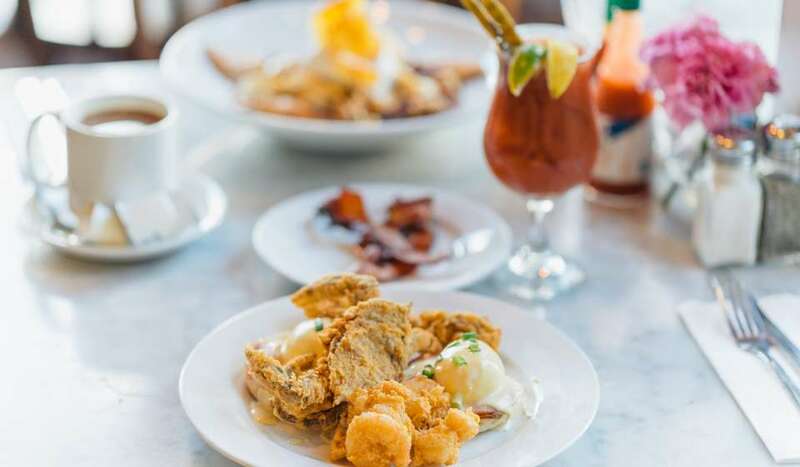 This year, there will also be a gingerbread streetcar with famous New Orleanians depicted as passengers, and twinkling lights across the lobby ceiling. 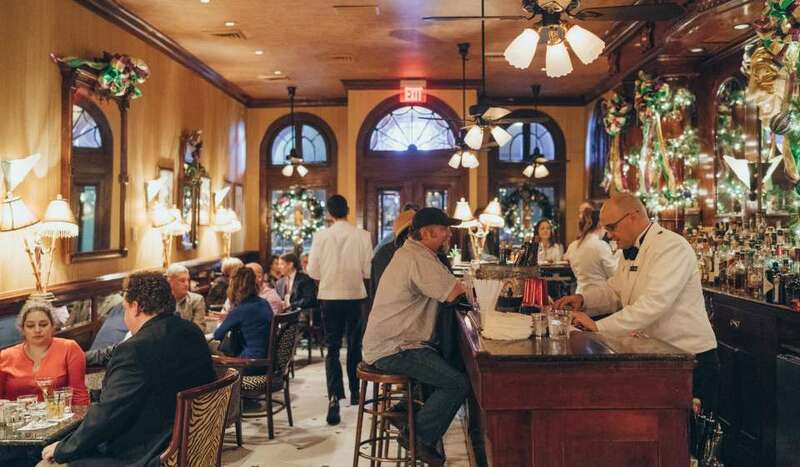 On your way to brunch with Santa, admire the poinsettias, wreaths, and red and green decor throughout the lobby of this French Quarter hotel. Christmas Tree Lane lines the lobby and hallways, filling the air with the smell of real Christmas trees. Garland, holly, poinsettias and more add to the display. Enjoy Christmas choirs every weekday at noon. The playful decorations at Harrah’s Hotel are sure to make you jolly. 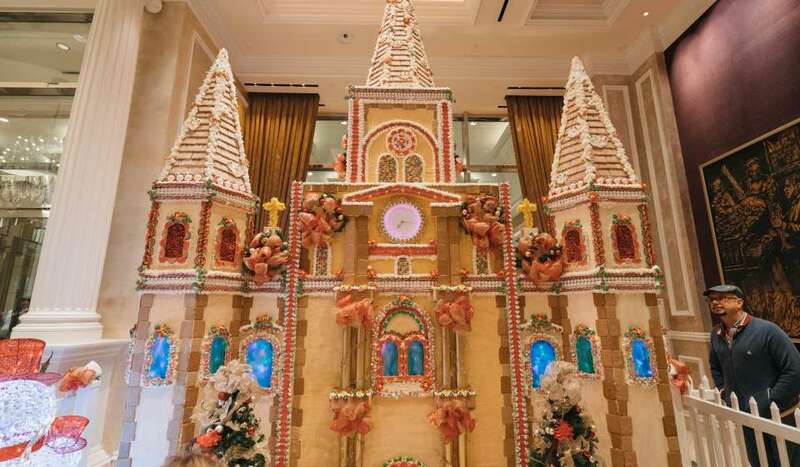 475 pounds of candy and 1,800 shingles of gingerbread are sure to stun visitors each year. 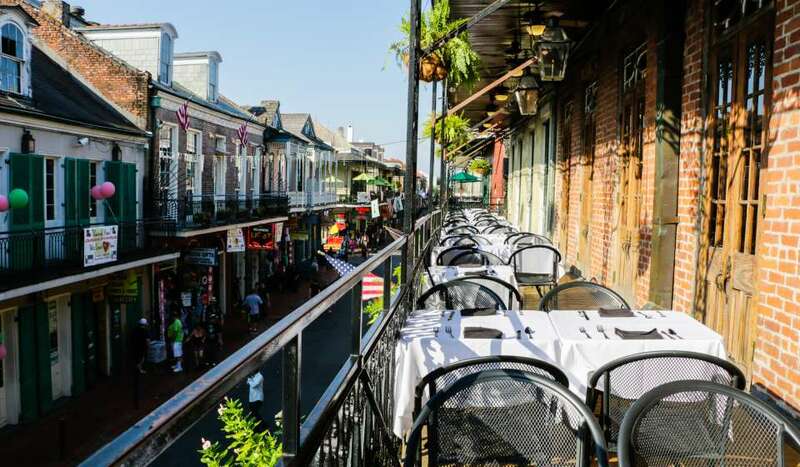 The giant house usually reflects a New Orleans landmark, such as St. Louis Cathedral. 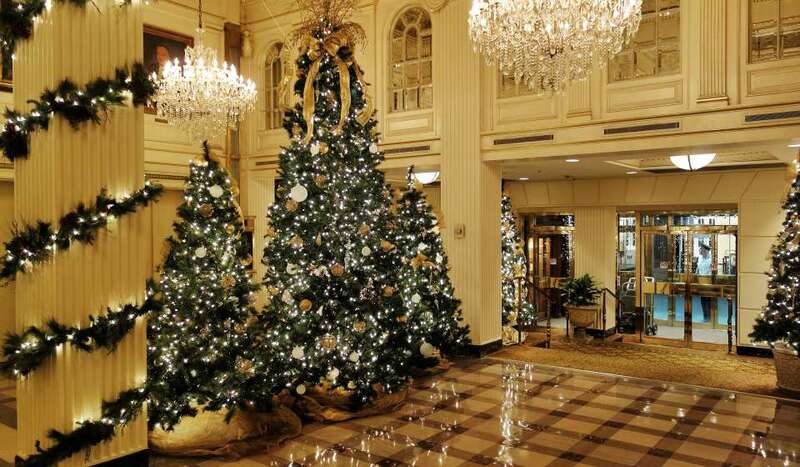 The beautiful Christmas trees throughout the hotel make the perfect backdrop for your holiday photos. 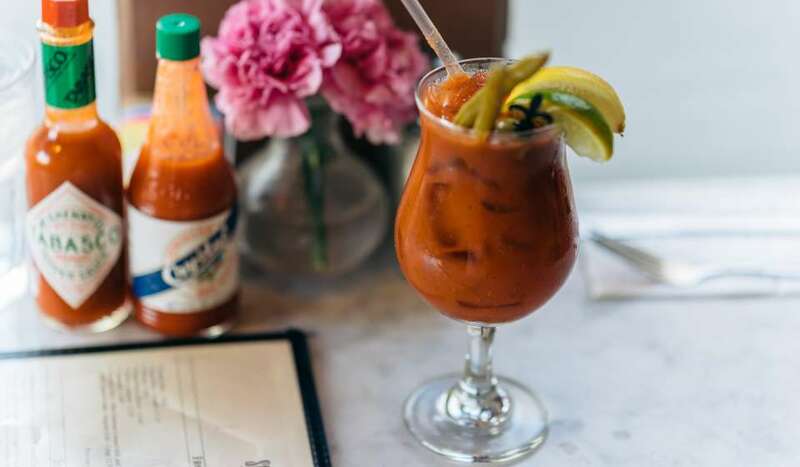 The Carousel Bar also feels extra festive this time of year and is the perfect place to grab a holiday-themed libation. The elegant, yet festive decorations along the banisters, staircase, window frames and fireplaces will make put you right in the holiday spirit.